In a pan, start first by preparing the fillings. Put a little bit of oil then sauté the onions, shrimps and tofu. Then add the vegetables (bean sprouts, carrots and sweet potato). Put some salt, pepper and fish sauce to taste. Add a little bit of water just to avoid sticking of the vegetables on the pan. Cook for about five minutes. Set them aside. 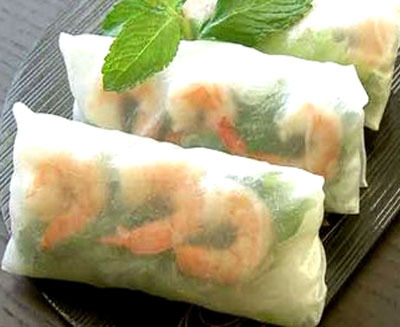 Separate one by one and delicately the rice paper wrapper. Get one rice paper and work on a clean surface. On the bottom part of the edge of the wrapper put a scoop of your cooked vegetable filling. wr one side of the edge of the wrapper scoop the cooked vegetable filling then gently fold right and left edge and roll first the filled side towards the other end. Seal it with some water. 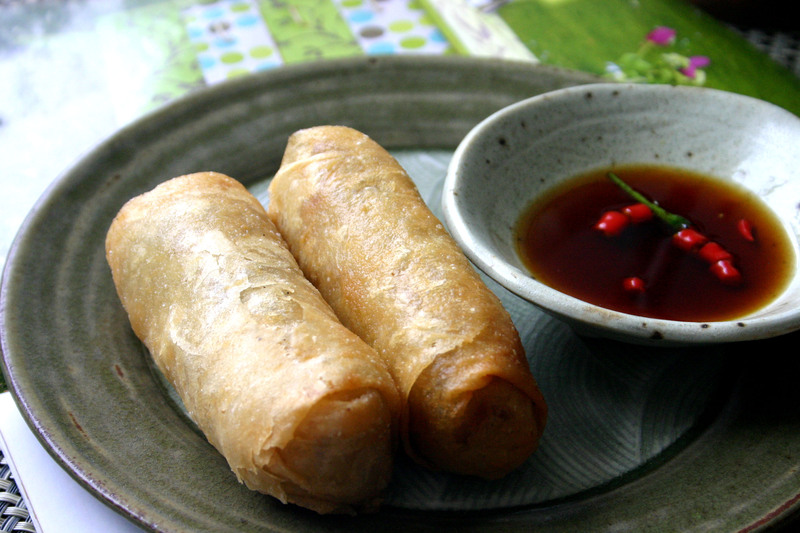 Deep fry until golden brown; Serve them with your favorite spicy vinegar sauce.